Lisbon, Portugal. My first trip to Lisbon was planned on a whim. My mom and I had plans to go somewhere else that didn't quite work out and we wanted to go somewhere new and different. I don't remember what I read or saw but I texted my mom one day and said, "How about Lisbon?" And a few weeks later, we landed in a city that I have since referred to as the city that spoke to my soul. I can't really put into words what makes Lisbon so magical. When The Pilot and I were planning our biennial trip to Paris this year and realized that the likelihood of us getting on a flight to Paris on standby was slim, we shifted gears and decided to go back to Lisbon. We were planning a babymoon and I really wanted to go to a place we had been to before so that I could take it easy when I wanted to and wouldn't feel the need to constantly be doing something! I admit I was nervous. What if I didn't love it as much the second time around? What if it felt different? But the minute we landed, I knew that wouldn't happen and I was so happy to be back in this place that I've been dying to go to back to since before I even left the last time. We landed in Lisbon on a Monday morning around 9:30 after the most miserable flight I had ever been on. We were on a super old plane (no TVs ashtrays still in the armrests!) and the seat in front of me was broken and reclined so far back that I had no leg room...not fun when I was getting up once an hour to use the bathroom! I was so grateful when we touched down! Lisbon airport is a breeze and we cleared customs in no time and were on the metro to the Airbnb we had booked in the Santos neighborhood of Lisbon. We got to our Airbnb by around 11 and luckily, were able to check in right away. The Airbnb was lovely and the neighborhood was quiet but I wouldn't recommend staying there. It was more out of the way I thought it would be. I wanted something away from the hustle and bustle of the main city but this was a little too out of the way. It was about a 15-minute bus ride from central Lisbon but the buses weren't very reliable and came pretty infrequently. Exhausted from our flight, we planned to take a nap and ended up sleeping until almost 3:00! Normally, I would have been upset about this but we were on our babymoon and I knew I needed the rest, so I embraced the long nap, took a nice, long shower, and then headed out to explore! Jeronimos Monastery. This 16th-century monastery is absolutely worth a visit. The cathedral and grounds are absolutely stunning. There isn't too much to do there other than to see the cathedral and the grounds but the grounds are stunning enough to warrant a visit. Torre de Belem. The Jeronimos Monastery is in Belem, which is a neighborhood on the outskirts of Lisbon. When getting there from central Lisbon, you hit the monastery first and then it's a short walk to the Torre de Belem, a tower overlooking the water that was used as part of the defense system guarding Lisbon during the 16th century. I didn't go up to the top because the steps were narrow, slippery, and steep but The Pilot did and said the views weren't much different than from outside the tower. The architecture and intricacy of the tower are impeccable though and it's in unbelievable condition for being as old as it is! Castelo Sao Jorge. The Tram 28 is Lisbon's iconic Lisbon tram line that takes you across the city and up the steep hills. It's also the best way to get to the Castelo Sao Jorge if you don't want to walk up a mountain. When you get to the top, you have to walk a bit to get to the castle entrance. There are street vendors and souvenir shops and a few coffee shops leading the way up the hill. It reminded me a little bit of Montmartre in Paris. As soon as we entered the castle grounds, I was shocked that we missed it the last time we were in Lisbon. The views of the city are unreal! The castle grounds are pretty cool to walk through too. We didn't spend too much time there because it started raining as soon as we got there and the castle is really just ruins, but it was pretty cool to explore! Lisbon Under the Stars. This was a short-lived exhibit in Lisbon that has already ended so I was hesitant to write about it but since it was such an amazing experience, I had to! Hosted in the ruins of the Convento do Carmo, Lisbon Under the Stars told Lisbon's history - from the city's founding to the earthquake and tsunami that wiped out the city to Portugal's independence - through a multimedia presentation featuring art, music, and performance. I've never quite seen anything like it and I'm so glad we had the opportunity to go because it was incredible! Sailboat cruise on the Tagus. 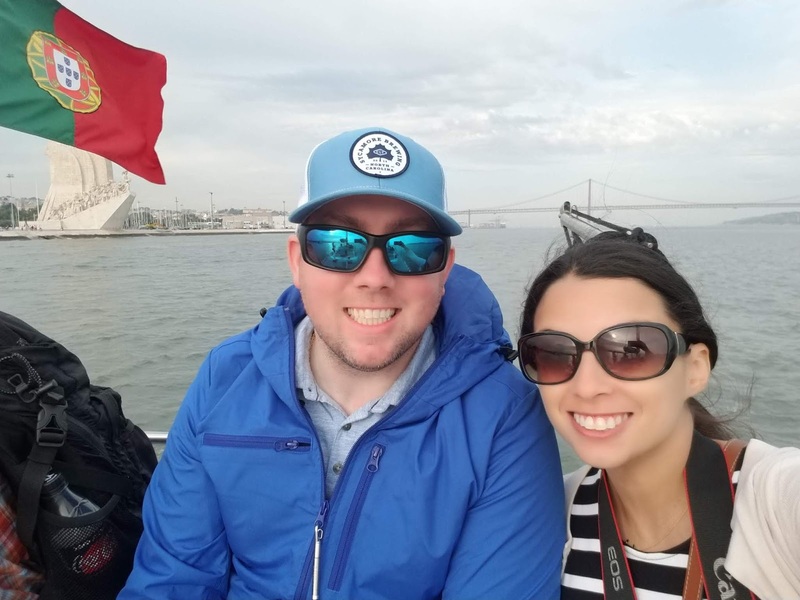 On one of our nights in Lisbon, we booked a sunset sailboat cruise on the Tagus River through Airbnb. Set up on a vintage sailboat, the 3-hour cruise was a perfect date night. We were able to get off our feet and see the city from the water. There were only about 8 other passengers so it was small and intimate and the boat had wine, cheese, and bread for us to nibble on. About an hour into our cruise, it started downpouring but we still managed to enjoy ourselves despite being cold and wet on the water! When people think of good food in Europe, they always think of France and Italy, maybe Spain but I think Portugal really needs to be on the map for excellent European food. I have yet to have had a meal in Lisbon that I didn't absolutely love. Here are a few highlights of places and things we ate! Pasteis de Nata. No trip to Lisbon is complete without feasting on these delicate pastries. Just before we went, Martha Collison (famously of The Great British Baking Show) had been in Lisbon and went on a mission to find the best pasteis de nata in the city. Having let her do all of the work, and having already tried natas all over Lisbon on our first trip, we made our way to her top pick, Mantegenaria and we were not disappointed. The pastry shop only serves pasteis de nata and coffee and they're one of the very few places in Lisbon that serve the treats warm. Top them with both powdered sugar and cinnamon and you're in for absolute divinity. Alcoa was a close runner-up but they weren't served warm. I would skip the insanity that is Pasteis de Belem (where they were created), as they were warm but the egg custard had curdled and they weren't very appetizing. If you're planning a trip to Lisbon, try out a few different places but I think you'll come to the same conclusion that Mantegenaria's natas cannot be beaten. LX Factory. The LX Factory isn't necessarily a place to eat - it's more like an outdoor market with little shops and restaurants. It's got a really cool hipster, industrial feel and is definitely worth checking out. While I typically stick to local cuisine when I'm traveling, I was also entertaining pregnancy cravings in Lisbon and jumped at the chance to have tacos when we spotted a Mexican restaurant, Mez Cais, in the LX Factory. Built to look like a wrestling ring with luchador masks adorning the walls, this was a pretty cool spot with fantastic Mexican food! Santini. If you like ice cream or gelato, you need to stop by Santini. Get the nata flavored ice cream and mix it with something delicious like chocolate-hazelnut. You won't be disappointed. Ribeira Market. The TimeOut Ribeira Market was definitely a favorite during our last trip to Lisbon and worth repeating. I had some kind of bacalhau (codfish) deliciousness at a spot called Felicidade that was honestly one of the best things I've ever eaten. I keep a very short list of some of my all-time favorite meals and this was easily one of them. The Ribeira Market has just about everything you could want and is perfect if you're eating with a crowd since everyone can get their own thing. Bonus: There's a Mantegenaria AND a Santini ice cream shop there! Pharmacia. On our last night in Lisbon, we went to dinner at Pharmacia, a restaurant located in the Museum of Pharmacy with exceptional views over the city. While the interior of the restaurant is gorgeous, we opted for a table outside to enjoy the views. I didn't realize until we got the menu that that Pharmacia is run by the same chef that I had raved over the night before at Felicidade, Susana Felicidade. The food was just as excellent as the night before and my only disappointment was in not being able to enjoy a glass of Vinho Verde alongside my meal! Our second trip to Lisbon was even better than the first! 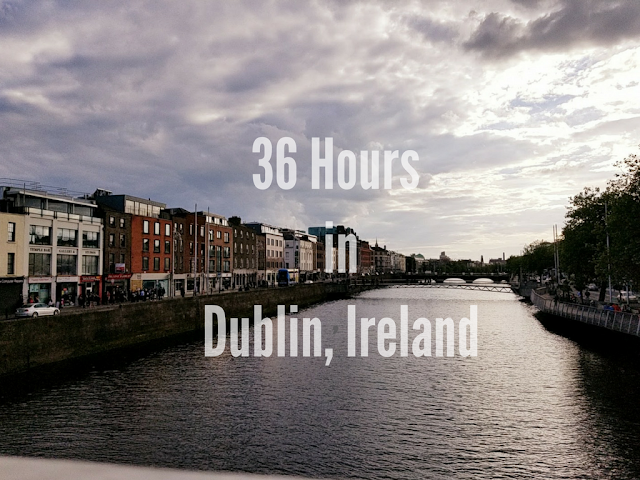 I fell in love with the city all over again and it was the perfect spot for a babymoon! We learned on our first night there that Portugal recently passed a law exempting pregnant women (and women with children under 2, seniors, and people with disabilities) from having to stand in line. We didn't want in line for anything, anywhere...ice cream shops, tourist sites, customs at the airport...it was amazing! As soon as I got on any form of public transportation, half the people would jump up to give me their seat. It was great! I also really loved that we had been there before and could really just do one major thing a day and spend the rest of our time just being in the city, having long, leisurely meals and just enjoying each other's company. It was wonderful! Oh, and one of my favorite things was watching the World Cup in the Praca do Comercio. I always root against Portugal in the World Cup but I had to support the home team just this one time! One thing I didn't include in this post is our day trip to Sintra - that deserves its own post so check back later this week for that! Have you been to Lisbon or anywhere in Portugal? If you took a babymoon, where did you go? PS: You can check out my posts about our first trip to Lisbon here, here, here and here!